Some amazing hand drawn lettering by Leandro Senna. I love how the use of the different tips and thickness of the markers make a huge impact on the shape and outcome of the lettering. 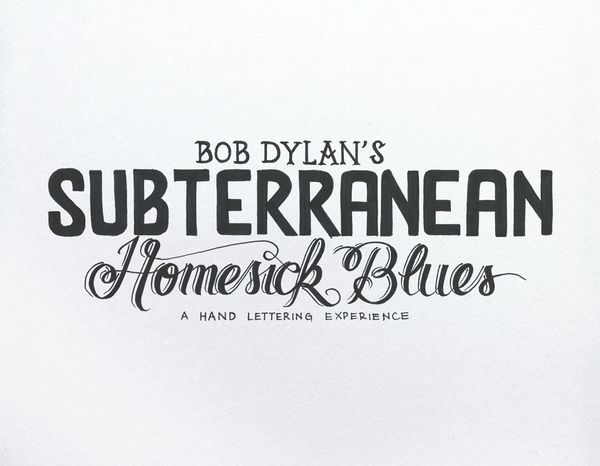 Inspired by Bob Dylan´s Subterranean Homesick Blues video, where he flips cards with the lyrics as the song plays, I decided to recreate those cards with handmade type. I ended up doing all the lyrics, and not just some of the words, as Dylan did. There are 66 cards done in one month during my spare time using only pencil, black tint pens and brushes. The challenge was not to use the computer, no retouching was allowed. Getting a letter wrong meant starting the page over.